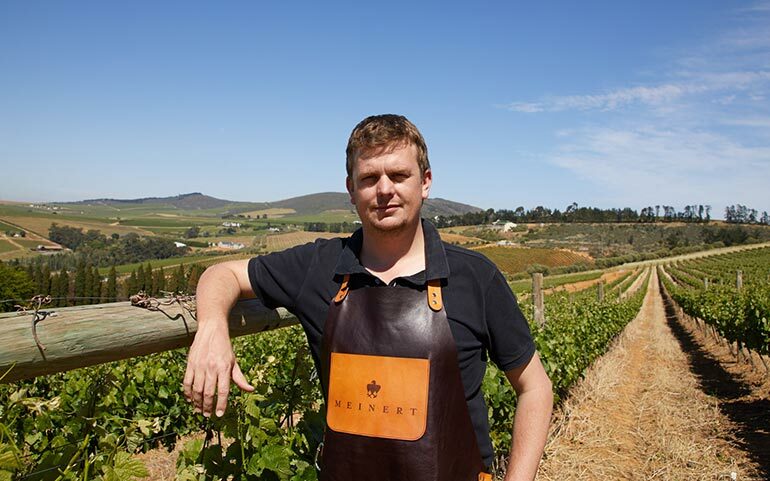 Cape Wine Master & Winemaker at Devon Crest Vineyards for Meinert Wines. I tracked Brendan down as he was preparing to board a flight to Vienna. I wanted his personal take on his Syrah called The Graduate. Q: People say that Shiraz and Syrah are the same. Is this true? Brendan: Although they are vinified from the same grape they reflect a difference in style. Syrah is typically the French style having distinctive spicy, peppery nuances along with garrigue (what could be best described as fynbos scrub). There is generally less extraction than Australian-styled Shiraz wines which are often matured in American oak barrels. During vinification of our Syrah we add a portion of grape stalks back into the tank during fermentation. These lignified stems leach tannin to the fermenting wine and enhance its structure. Q: ‘The Graduate’ is a stylish name for a wine. Does it have a story attached? Brendan: Yes, all great wines come with a story and in this instance both the wine and I have ‘graduated’. In May 2017 I graduated and was inducted as one of only one hundred Cape Wine Masters since the inception of the program in 1983. The Graduate was never intended to be part of my final wine portfolio and as such I did not initially present it. Upon finding out about this mystery wine in our cellar, my business partners asked to taste it and were blown away by the elegance and purity. The result was that it is now an integral part of our ‘Limited Release’ range along with the ‘Italian Job White Merlot’. In all truth, when I first started working with these vines in 2013 my intention was to craft a wedding wine. Knowing that I was getting married in 2014 I saw this wine as a way to celebrate that. Well, the wine ended up getting bottled and sent to market and from there things developed. Q: What do you love about the Graduate? 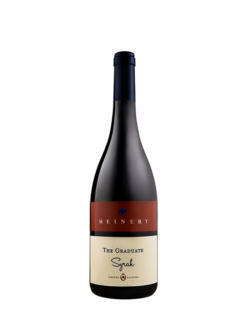 Brendan: This wine for me reflects the elegant and perfumed side of Syrah as opposed to richer-styled Shiraz’s. It is wine that I believe resonates with buyers and wine drinkers who appreciate the finer nuances of the grape. My goal in the vineyard and cellar is to nurture a wine so that it stays true to its origin. As much as awards have become a key focus of producers, our objective is to produce wines that we enjoy and hopefully along the way fill up our cabinets with a bit of silverware. Wine styles and fashions may change, but terroir remains constant and true. Our fruit is sourced from 20-year-old vines in Upper Hemel-en-Aarde Valley overlooking Hermanus, a view anyone would die for. We work very closely with our grower and are fortunate that they are as passionate about producing the best grapes possible as we are intent on producing a wine that reflects this unique terroir. Q: You recently attended Enotria’s annual trade show in London. Did the Graduate get presented? Brendan: Yes, we had a brilliant time showcasing our various wines for the tasting. Steven Spurrier, a world-renown wine writer and consultant to the publication ‘Decanter’ spent time tasting through our range. 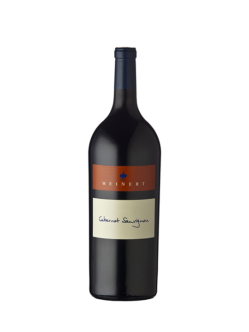 He was complimentary of the entire range of wines, in particular The Graduate Syrah, Merlot and our flagship, Synchronicity. In addition to praise from various wine writers, we were also commended on our fine wines by various members of the wine trade including sommeliers, restauranteurs and hoteliers. Q: Do you have any anecdotes or funny moments in the making of this wine? Brendan: I am not really the anecdotal type, but rather consider myself to be on the more serious side of things – I am working on this though… Personally, winemaking may be likened to raising a child (not that I have any of my own, but rather draw parallels from friends who have children), hence the French term elevage. I am fortunate that I am both winemaker and viticulturist and as such seek to produce the best grapes possible. In spring Mother Nature presents me with a blank canvas and it is then my duty to ensure our vineyards are farmed meticulously enabling me to make wine in the vineyards. For this reason, we spend a considerable amount of time in the vineyards ensuring balanced growth in our vines. This philosophy translates into us being able to let Mother Nature take her course in the cellar with minimal tweaking on my part. With our philosophy of minimal intervention, Mother nature is good to me. She is patient and gives me grace in my craft. For that I am grateful.